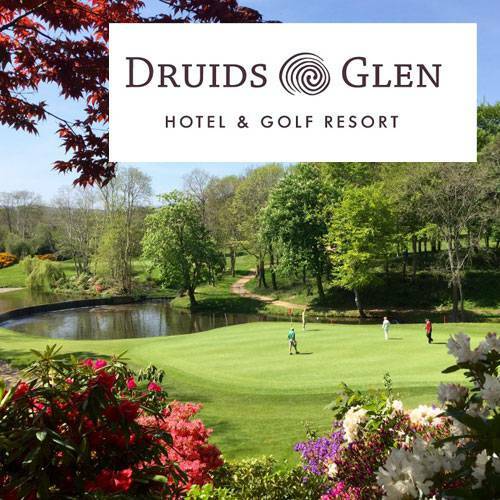 Druids Glen Resort Golf Break for 4. Welcome to golfing heaven! As golfing destinations go, Druids Glen is simply unbeatable. Nestled amongst 400 acres between the Wicklow Mountains and the Irish Sea, Druids Glen Hotel & Golf Resort boasts a magnificent championship course, a five-star luxury hotel, a health & fitness centre and fine dining. Walk in the footsteps of legends, as you play two rounds on this historic and prestigious course. Relax in luxurious accommodation for two nights. Enjoy a splendid 4-course dinner at Hugo’s Restaurant. All this... for you and three guests! 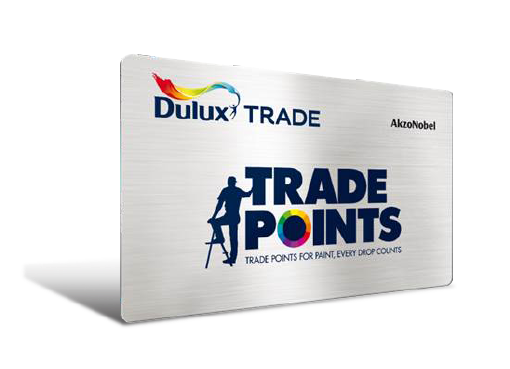 Click 'Redeem' and the Dulux Trade Points Helpdesk will contact you within two working days to discuss your Druids Glen Resort Golf Break requirements and the options that are available to you. Our team will work with you at every step of the way. 3. Rates are based on 2 people sharing a twin or double room each with en-suite bathroom on a bed and breakfast basis. If the customer chooses to upgrade their accommodation in any way, an additional fee will be charged. 4. All accommodation is subject to availability. 5. Based on 4 adults enjoying a 4 course meal from the set menu. Dinner reservations are required in advance of your arrival date. Drinks are not included. 6. Golf must be booked in advance and is subject to availability. Golf clubs and buggy hire are at an additional cost and must be booked in advance if required – also subject to availability. 9. The health club is available for use by guests, however this does not include any Spa Treatments – These are additional and as per the Hotel and Spa pricing list – Booking in advance is required and recommended. 11. Where applicable transfers, travel and travel insurance are not included. 12. To secure the best offer / availability and pricing as much advanced notice of intended travel dates is recommended. 13. Availability at the discretion of the organiser and excludes Christmas, New Year, Valentines, Easter, School Holidays and Bank Holidays (both Republic of Ireland and UK). 16. Non-Republic of Ireland / EU passports holders may need a visa for this destination, which they should arrange with the Embassy at their own expense. Includes all taxes, surcharges and one piece of checked baggage per couple. 17. There are no cash or other alternatives. 18. The promotion is not open to employees of TLC Marketing or Dulux.